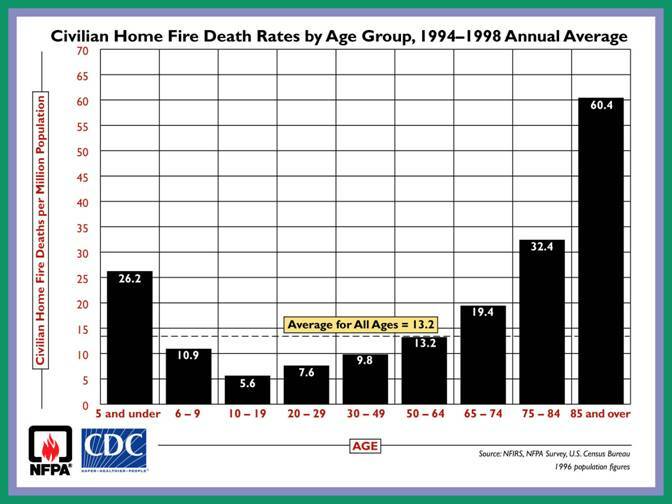 Each year approximately 1,100 Americans age 65 and older die as a result of a home fire. People between 65 and 74 are nearly TWICE as likely to die in a fire. People between 75 and 84 are nearly FOUR times as likely to die in a fire. People 85 and older are more than FIVE times as likely to die in a fire. By following a few fire safety tips, adults and seniors can dramatically reduce their risk of injury or death from a fire. 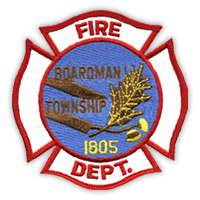 The Boardman Fire Department Bureau of Fire Prevention and Education would like to announce our support and cooperation with the U.S. Fire Administration (USFA), a division of the Federal Emergency Management Agency (FEMA), in developing a fire safety program for adults and seniors in the community. The intent of the program is to review the steps required to make homes fire-safe and remind people of fire-safe behaviors. 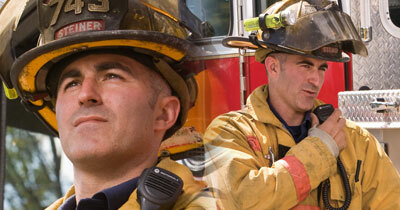 The program offered by the Boardman Fire Department will be tailored to meet the needs of your group or organization. The program includes a PowerPoint presentation to help reinforce the information. If you would like to schedule a fire safety lecture, or if you’d just like more information, please contact the Bureau of Fire Prevention and Education at 330.729.9535 or email us at fpo@twp.boardman.oh.us.